At the time, there was a feeling that the creation of Whytecliff Park was just the start of many more Marine Sanctuaries that would soon appear on our coast. Fast forward over 20 years later, British Columbia has only three other no-take areas; Porteau Cove, components of the SGaan Kinghlass – Bowie Seamount Marine Protected Area, and a small part of the Gwaii Haanas National Marine Conservation Area Reserve. With these areas closed to fisheries, about 1% of Canada’s Pacific Waters are protected. 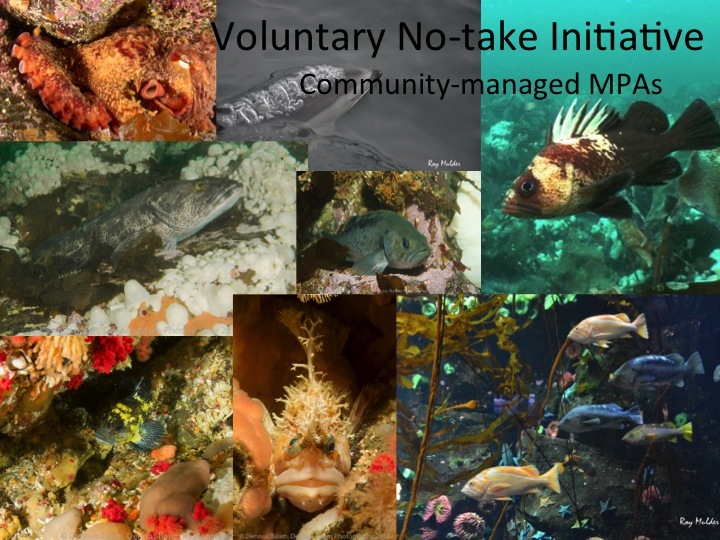 As of 2008, there were a total of 161 Marine Parks in BC, accounting for about 2% of Canada’s Pacific Waters – but more than half of these are predominantly terrestrial and do not necessarily restrict any fishing (See Robb et al. (2011)). There is clearly much work to be done for Canada to meet targets to protect 10% of our coastal and marine areas.